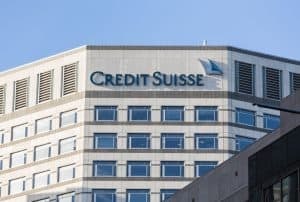 One of Credit Suisse’s former senior derivatives heads has been hired by software and analytics provider OpenGamma to lead its sales operations and teams. Stephen Plestis joins OpenGamma this month as head of sales for Europe, the Middle East and Africa (EMEA) and Asia, overseeing and maintaining growth of the business. Before departing early last year, Plestis spent 14 years building up the EMEA derivatives sales team at Credit Suisse, as head of the EMEA derivatives business. Prior to Credit Suisse, Plestis worked at Merrill Lynch for 10 years in various positions around client service and sales trading for both fixed income and equities. Peter Rippon, CEO of OpenGamma, stated that the new appointment is testament to where the firm is as a business. Following growth in the business, OpenGamma expanded into North America in November, which it said is the next logical step in helping address the current pressures US derivatives markets face. At the same time, costs of derivatives trading globally continues to increase leading to increased demand for analytics to reduce the cost of capital. The post Former derivatives head at Credit Suisse to lead sales at OpenGamma appeared first on The TRADE.